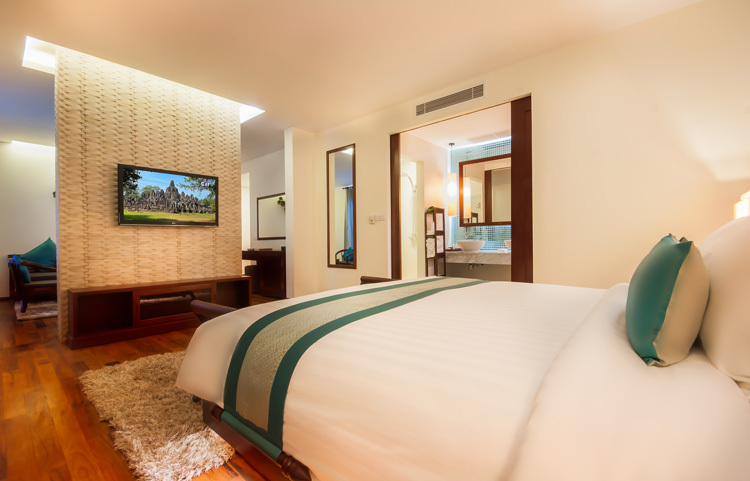 The Suite is truly special, with magnificent views of our tropical garden and the lively city of Siem Reap. 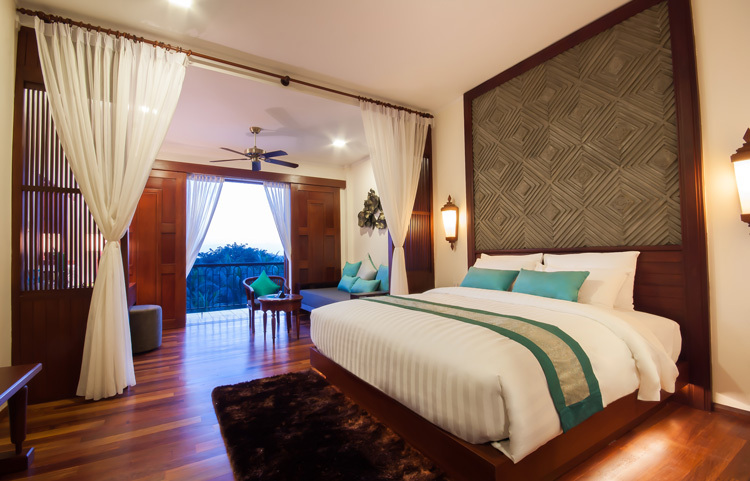 The design is classic, featuring wonderful decorative touches that include hardwood floors, teak wood furniture, soft upholstered furniture covered in elegant Khmer silk fabrics. 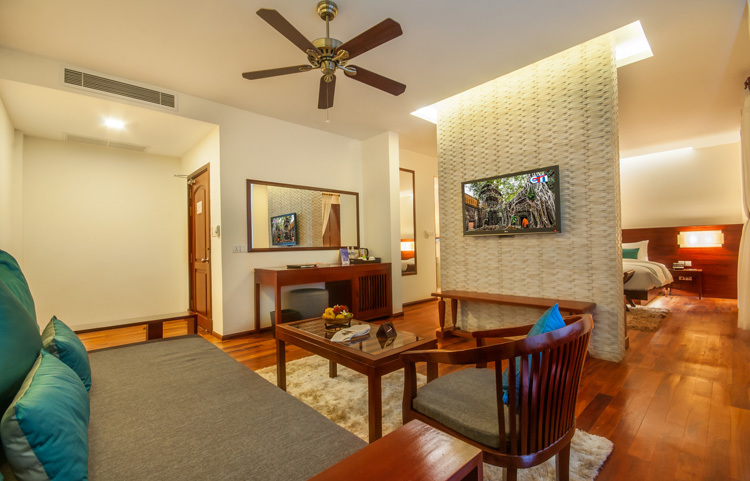 The bedroom is spaciously comfortable, with a bathroom of stand-alone rain forest type shower and a huge bathtub in the separate room to soak in. 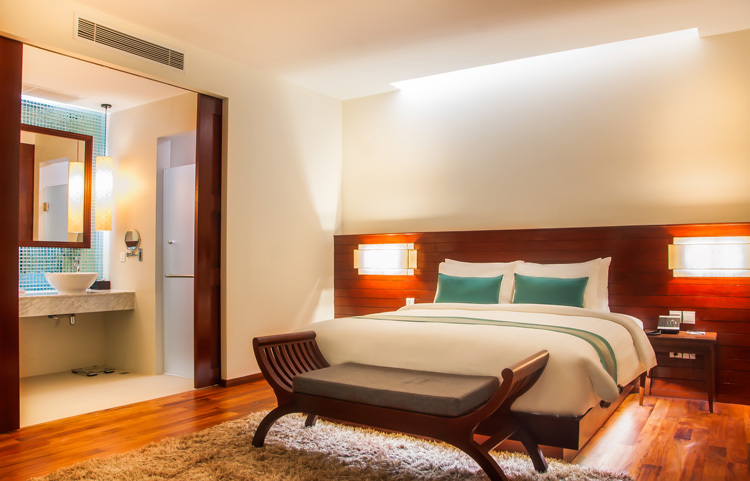 FREE cancellation or modification if canceled or modified 04 days before the date of arrival. 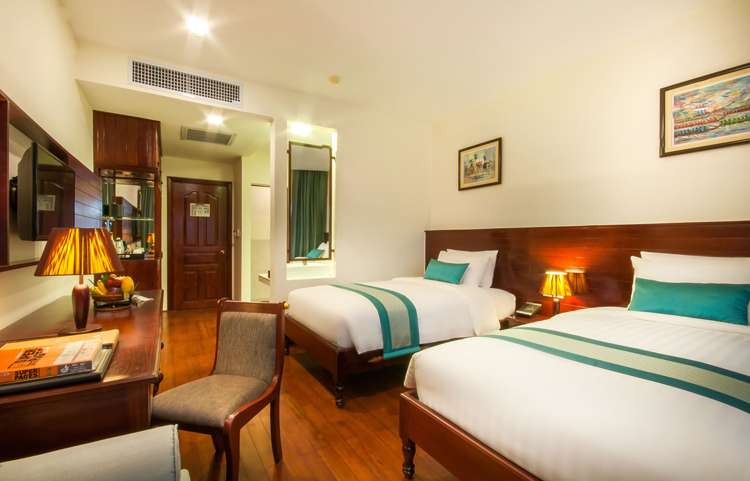 Ideally located in the heart of Siem Reap, Lotus Blanc Hotel is just 10 minutes away from airport, 15 minutes to the magnificent temple of Angkor Wat, and only 10 minutes ride by Remork (Cambodian tuk-tuk) to Siem Reap downtown – Pub Street, Night Market, and other local restaurants and bars.